Slightly larger than the individual First Aid Kit carried by U.S. 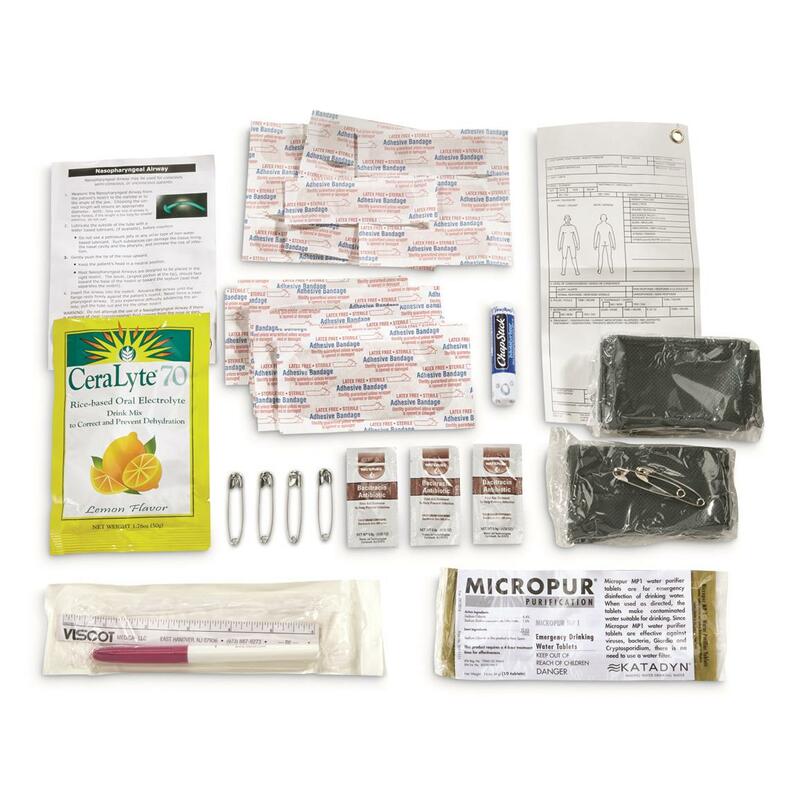 Troops, this new U.S. Military Surplus First Aid Minor Injury Module is the perfect size for hunting packs, glove compartments or bug out bags. 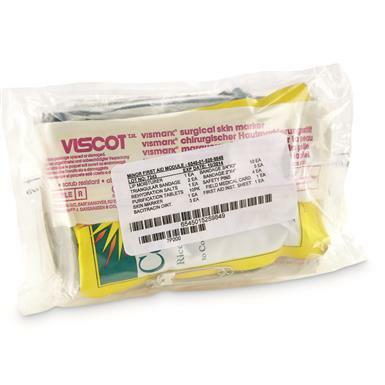 They're marked with a 2012 expiration date, but the packages are vacuum sealed and usable. There is no medication contained in these Packs that would lose effectiveness. Size 7" x 4" x 1.5"h.